Hyderabad,History was created as the first three women fighter pilots of the Indian Air Force proudly brandished their stripes and wings, at the Combined Graduation Parade at Air Force Academy, Dundigal on the outskirts of the twin city today. 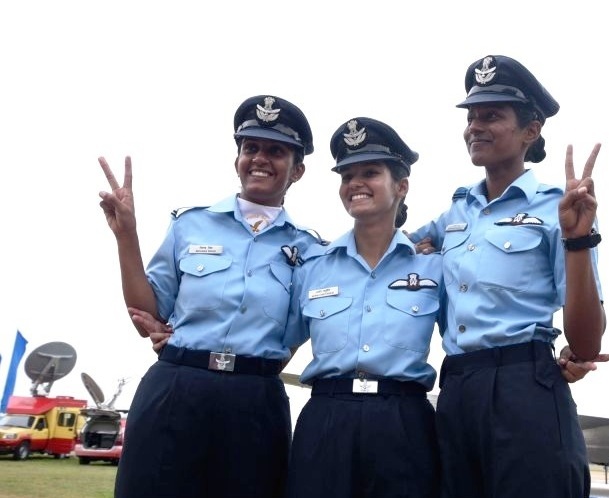 The vanguards of the IAF roared into the sky and smeared the sky with tricolor as India joined the select few nations in the world that have women fighter pilots in their Air Forces when Flying Officer Avani Chaturvedi, Flying Officer Bhawana Kanth and Flying Officer Mohana Singh were conferred with the President’s Commission. Manohar Parrikar, Hon’ble Minister of Defence, graced the solemn ceremony as the Chief Guest and reviewed the Combined Graduation Parade. The Chief Guest was received by Air Chief Marshal Arup Raha Param Vishisht Seva Medal, Ati Vishisht Seva Medal, Vayu Sena Medal, Aide-de-camp, the Chief of the Air Staff, Air Marshal SRK Nair Ati Vishisht Seva Medal, Vayu Sena Medal, Mention-in-Despatch, Air Officer Commanding-in-Chief, Training Command, and Air Marshal GP Singh Vayu Sena Medal, Commandant Air Force Academy. On this momentous occasion, a total of 130 Flight Cadets including 22 women trainees were commissioned as Flying Officers, at their alma-mater, the Air Force Academy, the ‘Cradle of Leadership’ that has procreated generations of prodigious leaders. 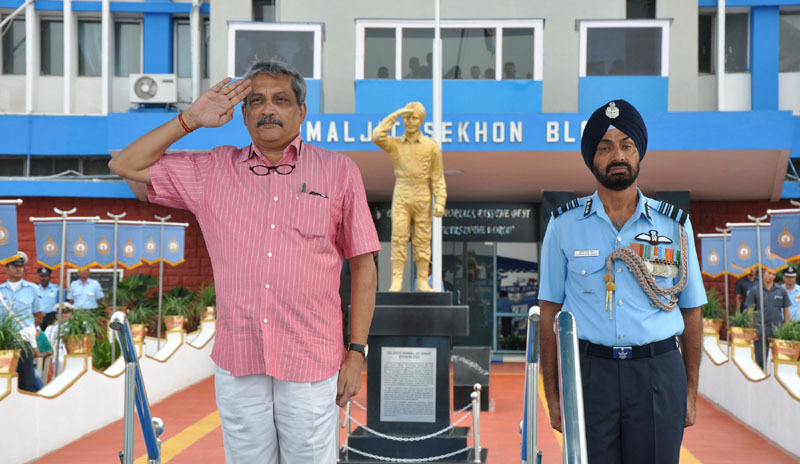 It was also indeed a proud moment for 93 young pilots and seven navigators who earned their coveted ‘Wings and Brevets’, along with nine officers of Navy and one officer of Coast Guard, on successful completion of their intricate and vigorous flying training. Hon’ble Minister of Defence gave away various awards to the Flying officers who had excelled in their training. Flying Officer Adarsh Hooda from the Flying branch was awarded President’s Plaque and the Chief of the Air Staff ‘Sword of Honour’ for standing first in Overall Merit in Pilot Course. Flying Officer Narendra Kushwaha and Flying Officer Sahil Yadav were awarded President’s Plaque for being first in overall merit in Navigation and Ground Duty branches respectively. All the esteemed guests, including proud parents of the graduating trainees and various military and civilian dignitaries, were held spellbound at the grand ceremony. They were delighted to witness the magnificent Parade by the graduating trainees and were awestruck at the spectacular movements of the Air Warriors Drill Team, and the ‘NishanToli’ marching-past with the ‘President’s Colours’ of the Academy. The spectators were mesmerised by the breath-taking aerobatics by the highly experienced and skilled pilots of SU-30, ‘Sarang’ the Helicopter Aerobatics Team, and PC 7 MK-II of the IAF. The brave acts of Sky Divers of the ‘Akash Ganga’ Team were also enthralling. The Graduation Parade culminated with the newly Commissioned Officers marching-out in slow march in absolute synchrony with decisive strides to the poignant notes of ‘Auld Lang Syne’ acknowledging the first salute given to them by their immediate juniors. They saluted the Reviewing Officer and crossed through the portals of their Alma-mater with a resolute aim to take-on their future assignments and challenges unstintingly to “Touch the Sky with Glory”, which stood testimony to the scrupulous grooming of young officers with the core values of the IAF, “Mission, Integrity and Excellence” . Addressing the Parade, the Defence Minister complimented the newly Commissioned ‘Flying Officers’ for the exceptional standard of their parade. 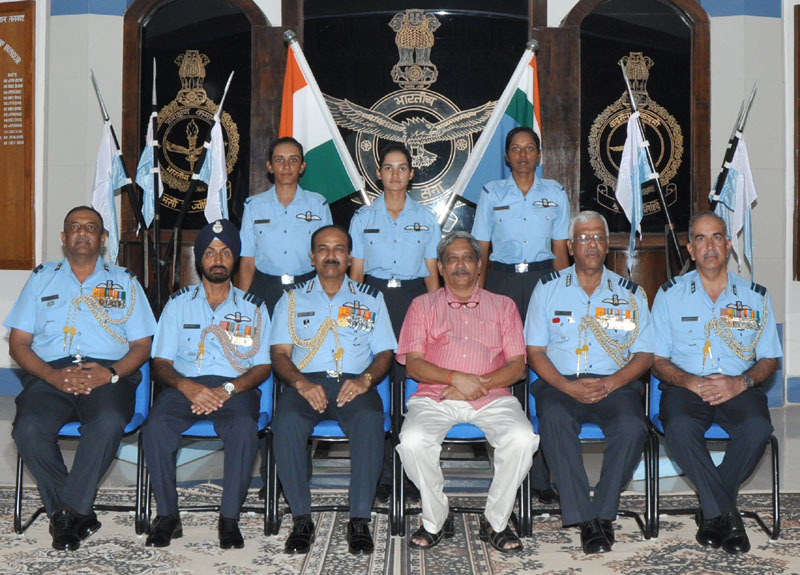 Congratulating the passing-out cadets the Minister said, “It is a matter of great honour to review the Combined Graduation Parade and to welcome the fine men and women into the Indian Air Force as Military leaders”. 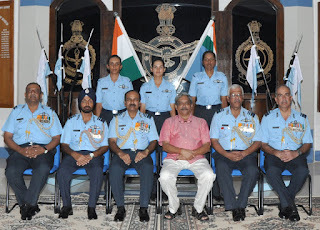 Keeping in view the changing geo-political and strategic environment and varied security challenges faced by India, he urged the young officers to give their best, as future leaders of the IAF, and take it to next higher level of performance by dynamically adapting to the newer environment. While bringing out that our country is going through a transformational shift to continuously modernise its forces, he exhorted them to widen their horizon and keep pace with the swiftly advancing technology to exploit the true potential of the Aerospace Power. Flight Cadets of all branches, on joining, are imparted their Basic Training together at AFA, whose foremost aim is to transform the selected young trainees into Air Warriors of the highest professional, intellectual, physical and moral calibre, dedicated to a lifetime of synergy service to the nation. The joint training also builds absolute bonhomie and camaraderie amongst them. Subsequently they undergo professional and advanced training at various Air Force Stations at Hakimpet, Begumpet and Yelahanka, and Air Force Administrative College (Coimbatore) besides the AFA itself, based on their area of specialisation. They all re-assemble at AFA for ‘Combined Graduation Parade’ from the portals of the majestic “Sekhon Block”, a landmark building named after Flying Officer NS Sekhon, Param Vir Chakra.